Can’t keep up with the blogs and the emails and the feeds? Here is a summary of some interesting development in the world of online U.S. government information, all in one serving. Both the House and Senate websites have revamped their lobby disclosure pages due to changes required by the Honest Leadership and Open Government Act (HLOGA), Public Law No. 110-81. The main Lobbying Disclosure page for the House now has a filings search. The Senate’s Public Disclosure page has a new gateway page for its lobbyist filings search. By now, anyone who reads a law blawg or two has probably heard about the body of federal case law entering the public domain due to the efforts of Carl Malamud and associates. A February 11, 2008 press release announced the availability of all U.S. Supreme Court opinions and all federal Courts of Appeals decisions from 1950 forward available for bulk download. Relevant documents are in the courts.gov section of Malamud’s public.resource.org site. 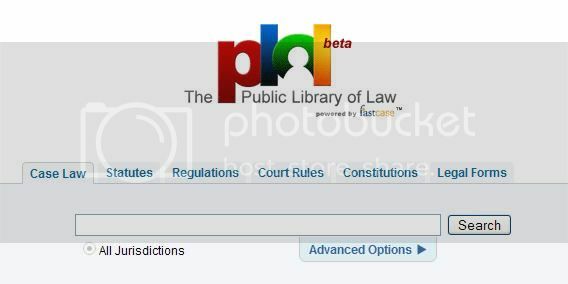 The case law has been incorporated into FastCase’s new, free Public Library of Law, Justia’s Court of Appeals page, and Altlaw, among other sites. The federal government portal USA.gov features a Voting and Elections section in both English and Spanish. The section links to government and other websites about the registration and voting process, voting rights, the Electoral College, elections statistics, and related topics. This portal section is an excellent example of the service USA.gov provides, selectively linking to resources that are scattered across federal and state agency sites. Part one, November/December 2007: The Presidential Campaign 2008 – Candidates and News Sources is online in PDF format, with a handy list of links to sites referenced in the article. Many of the sites listed are for candidates who have since dropped out of the race (and once has since joined; see http://www.votenader.org), but the article also provides useful descriptions of political blogs and mainstream media resources. Part two, February 2008: Tech Tools for the American Voter and the 2008 Congressional Elections is online in PDF format. A web-only tutorial on congressional elections resources supplements the article. Democratic Party superdelegates are the election topic du jour. To keep up with resources in that area, visit the Superdelegate Transparency Project, a joint effort of the Sunlight Foundation and the Center for Media and Democracy. The Superdelegates in the 2008 presidential primaries article is the place to check for background information and links to external resources. As we all know, the President’s proposed budget for fiscal year 2009 is available online at the Office of Management and Budget (OMB) website and on GPO Access. A document that usually gets a lot less attention is the annual Financial Report of the United States Government from the Treasury Department. This February, Treasury also released a summary report, The Federal Government’s Financial Health: A Citizen’s Guide to the 2007 Financial Report of the United States Government (PDF). The report, citizen’s guide, and related Government Accountability Office (GAO) reports are also available from the GAO website. The major theme of the citizen’s guide is: “Unless action is taken to bring [Social Security and Medicare] program cost in line with available resources, the coming surge of entitlement spending will end in a fiscal train wreck that will have an adverse effect on the U.S. economy and on virtually every American” (page 1). Government Information Online (GIO), a cooperative online reference service for government information, has resumed service as a partner with the Government Printing Office(GPO). The service is managed by the University of Illinois at Chicago (UIC) University Library government documents department with help of other participating federal depository libraries. America.gov is the new name and URL for the information provided about the U.S. by the State Department’s International Information Programs Bureau. Visitors to the old Information USA site, formerly at http://usinfo.state.gov are now redirected to this revamped site.